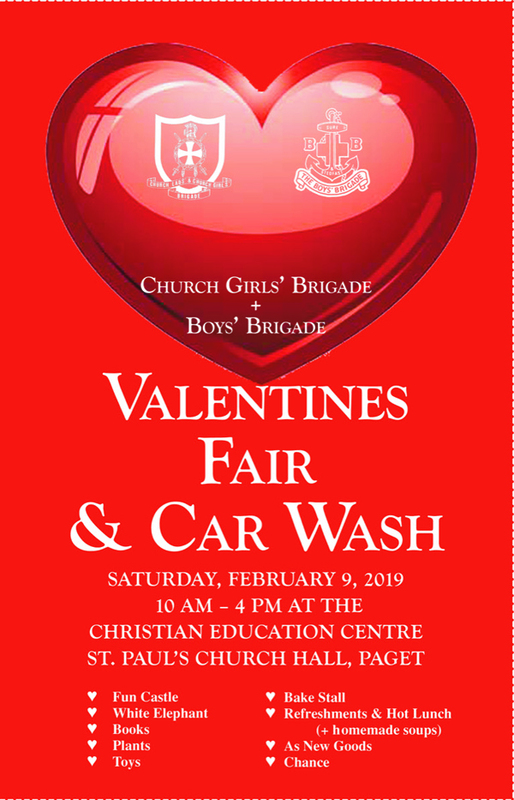 The Bermuda Boys and Church Girls Brigades are getting set to hold their 2019 Valentine’s Fair and Car Wash on Saturday, February 9 at St. Paul’s Church hall and car park in Paget from 10.00am to 4.00pm. A spokesperson said, “Save the date for the 2019 Valentine’s Fair, which is to be held on Saturday, February 9 from 10.00am to 4.00pm. Lunch will be offered with the usual delicious homemade soups, chili, hot dogs, codfish balls, and chicken wingettes.